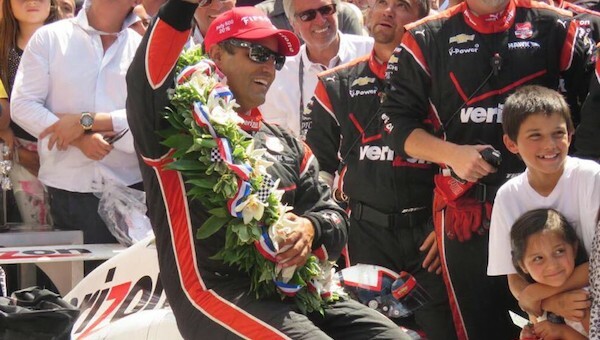 The 99th running of the Indianapolis 500 was a constant race between IndyCar’s two powerhouse teams, Chip Ganassi Racing and Team Penske, but Juan Pablo Montoya came out the victor, winning the ‘Greatest Spectacle in Racing’ for the Penske camp. Montoya’s day immediately got off to a rough start when he was rear ended by Simona de Silvestro while the field was under caution early in the race. He was forced to pit under yellow due to the damage and restarted in 30th when the competition finally got under way again. The Colombian driver asserted himself as a standout competitor Sunday when he easily worked his way through the field following the early restart and penetrated the top ten. His work was all for nothing, however, as he was then handed down a penalty for overshooting the pit box, relegating himself to the back of the field. Montoya then shot his way back to the front of the pack, joining his Penske teammates once again. Drivers representing Team Penske and Ganassi led 193 of the 500-mile race’s 200 laps. Pole sitter Scott Dixon led the most at 84, with Montoya only leading 9. He led for a brief period around lap 40 due to his pit schedule, but pulled into the lead when it mattered in the final four laps after making a daring move on defending IndyCar Series champ Will Power. Montoya held his lead as teammate Power tried to push for the late pass and crossed the finish line just ahead of the Australian native. The win gave Roger Penske his 16th ever Indy 500 victory and his first since Helio Castroneves’ in 2009. With his Indy 500 victory in 2000 Montoya also set a record for the most time between Indy 500 wins at 15 years. The previous record holder was A.J. Foyt, who took 10 years to post two wins at The 500. Slotting in behind Montoya was Power in second and Charlie Kimball in third, a career-best finish for the Ganassi driver. Team Chevy drivers made up eight of the top ten positions, with Graham Rahal and Marco Andretti representing Honda in fifth and sixth, respectively. Click here for full results and scoring from the 99th running Indianapolis 500. Previous story How Would The Rumored Cadillac ATS-V+ Stack Up Against The ‘Normal’ ATS-V? Wrong name and nationality. The guy you are refering to from “Scarface” was a Cuban, and he is DEAD! I think the guy he is referring to is from “The Princess Bride” – Inigo Montoya played by Mandy Patinkin. This was one of the better Indy races. Loved the three way passing at the end. A lot better than a crash induced green white checker that is so prevalent in nascar. I met him last year when we got invited to the Penske Hospitality at Mid Ohio. He really is a class guy. Also food was off the chart and the A/C in the hospitality was great when it rained.